Without the intention of sounding too brash: You need an RSS feed. 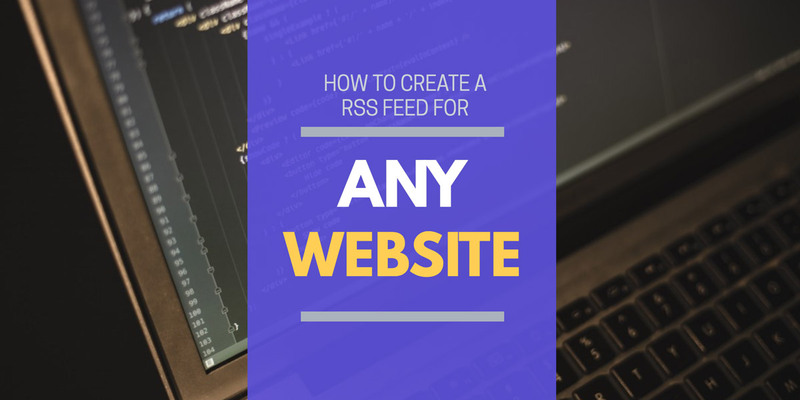 Read this article to learn how to create an RSS feed and how how easy it is. RSS (Really Simple Syndication) has really become the pillerstone of the Internet. Back in 2005 it was the latest thing, as Twitter, Instagram, Snapchat once was. I’d like you to know though, that RSS is more than just a way of sharing news with friends. It’s a format that will live on after all the hype. Today when you hear the word “feed” you think of Instagram or Facebook. It’s a list of content (ideally) in chronological order, one that you can scroll through to stay updated during the day. RSS feeds can be seen as the “original feed”. An RSS feed is a file that can be downloaded by anyone online. Think of it as a Word document, but the format is very strict. (An analogy is that the titles need to have one specific font and size, the links another color, the content needs to be 13pt with 1.5 line spacing, et cetera). 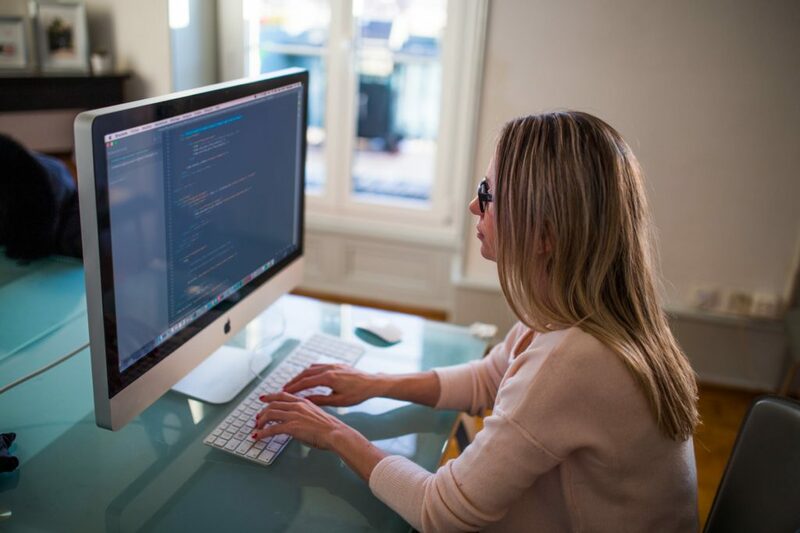 RSS feeds help your users and readers stay updated. With specialized softwares called RSS readers, RSS feed readers and feeders, your users will find your feed and subscribe to it. Once subscribed they will get notifications when you published new entries. Already now I think you can see how your audience can make use of this. For example, it’s pretty much required to have an RSS feed if you host a podcast. If you run a blog, you will also need an RSS feed. There are actually many unique ways to use RSS feeds. First of all: Are you using WordPress? Great news! Then you do not need create an RSS feed, because you already have an one. You don’t need to do anything, and can sip a piña colada instead of doing your homework here. Most likely this is also the case if you are using other publisher platforms like Movable Type, Ghost, Wix, Squarespace and others. Are you a podcaster? Then you will need to get a tool to create for RSS feeds for you. For custom web hosting solutions, you will most likely need to create your own RSS feeds as well. If you have a web developer at hand, please contact them, as this falls on their table. Are you a programmer? Then a text editor or IDE of choice is all you need. RSS feeds are simply standard XML files, so jump to the XML Reference table below for more information. For podcasts RSS feeds you definitely need an image. Podcast softwares will display this image in their directory, and when the user is listening to your sweet voice (or tunes). If not podcast you can also add an image, but most likely the software will ignore any choice you made here and just choose your website favicon (make sure to have on of good quality!). Depending on the software you are using the content of each entry will be inserted differently. Be sure to include a description of the item you are creating, but if you have a blog we recommend to not include the entire article. Just include a summary or the intro, so their’s enough to get sucked in and want to read more. This is a term you’ll likely find in the RSS software. Sounds very scary, it is in fact not. It means Globally Unique IDentifier, and it is the globally unique identifier for the entry you are creating in your feed. If the GUID changes and the link or title is still the same, an RSS reader will send a notification to their users. So don’t keep changing GUIDs! Confused and angry users will rant on the RSS readers support forum, and sad developers are not happy developers. Don’t base it on things like timestamps, your domain or something that might change in the future. Also if the option is available: Make sure to put `isPermaLink` to `false` if you’re not using a link to the entry. Again, all RSS creation softwares work differently, and look differently. The end goal is, however, always the same. When you are done filling in all information you need to export your RSS feed as XML. Put this file on your server. If this concept sounds foreign to you, please consult your webmaster or hosting company. Normally it will simply be uploaded with FTP, SFTP or S3. Make sure the file is publicly accessible. Here is what an RSS feed looks like, as you can see there are many weird characters and spaces. If you know HTML it might look very familiar and actually quite readable. Please note that all the spaces are ignored by any RSS software. That is called indentation. You do not need to indent your RSS feed in any specific way, it’s just for readability for humans/developers. RSS softwares are very forgiving softwares. If you put a typo in the code of your feed it will try its damned hardest to understand. This can lead to inconsistencies. Inconsistencies most of the time come in the form of upset users. And again, these upset users will flock to the support forums of the RSS readers. Sometimes even with pitchforks. Remember to be friendly to RSS feed software developers! If you use an RSS creation software, odds are that this will not be a problem. If it is, please change software immediately. Run far far away from that software. Hopefully you didn’t pay for that software! When developers create RSS feeds, errors happen. Not because developers are bad people, but because they are human. So always use an RSS validator service to double check everything. The next step is making your RSS feed public. You need to do 2 things here. This tag should be placed somewhere between the “ elements in your HTML. Ideally you should place this on every page, to simplify the life of your users. However just the frontpage is always a good start. Note: If you have a publishing platform like WordPress, this is most likely already taken care of. The text between the “title” should be the title of your blog or website (Don’t just put “Feed” there!). RSS softwares will display this to your users. For podcasts you will most likely be submitting your RSS feed to iTunes and other podcast networks. To try to gain extra traffic you should also add it to an RSS feed directory. So be sure to read more about those in our article “What is an RSS Directory“. Hopefully now you have a good grasp of how best you create an RSS feed, and can hit the ground running.